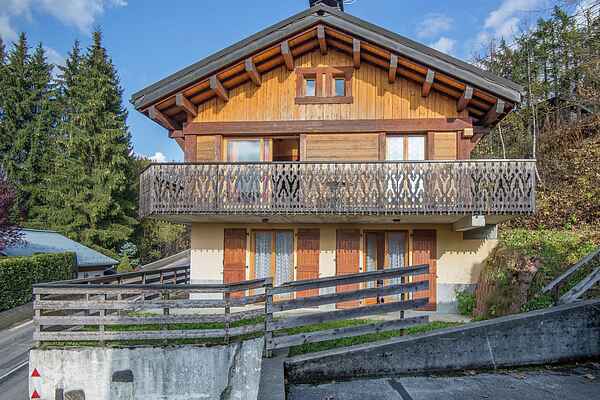 Comfortable, detached holiday home for fourteen persons nearby the centre of the bustling town of Les Gets. Welcome to the Porte du Soleil; the entrance to the sunny mountain range just below Geneva. This charming holiday home with large terrace and balcony offers a magnificent view of Les Gets and the mountains of the Porte du Soleil. It's an easy walk to the center of town to pick up some fresh bread from the baker, do some shopping in the supermarket or take part in one of the village's many activities. These detached, unique holiday homes with large terrace and balcony offer magnificent views and are the perfect place to go for a lovely walk around Les Gets. The cable car in Les Gets will take you to a height of 1860 m in just minutes. From here you will be able to admire the famous Mont Blanc. You will find unusual rock formations, striking mountain riffs, deep gorges, many caves and subterranean rivers. There is also a large swimming lake and a lawn where you can enjoy the sun. There is a lot of nature and sports activities in the immediate vicinity. The sporty biker will have the time of their life here and at the local tourist information office you can inquire about beautiful hiking trails leading through the mountains and along waterfalls.